The last hundred and fifty years have brought significant changes in the size and composition of all four inns of court. 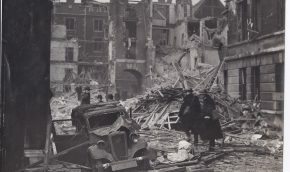 The membership was widened to include law students from every corner of the empire, and (after 1919) women; the first woman barrister (Ivy Williams) was called to the Bar by the Inner Temple in 1922. The number of benchers has risen from around 30 (Chaucer’s number) in 1850 to over 560 in 2019. 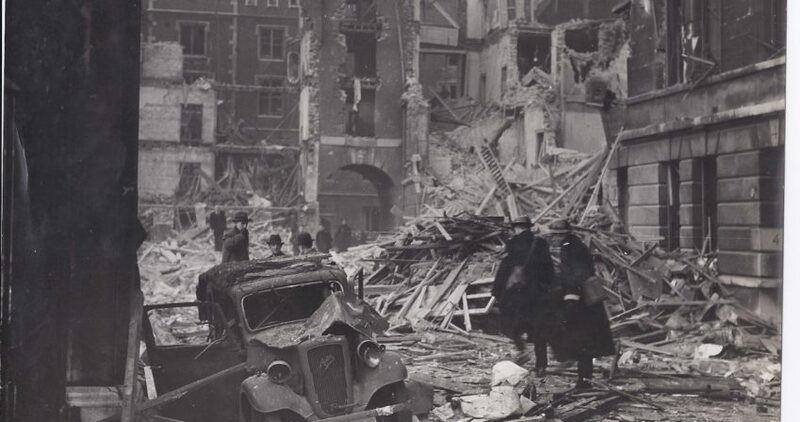 The twentieth century also brought the catastrophe of war to the Temple. 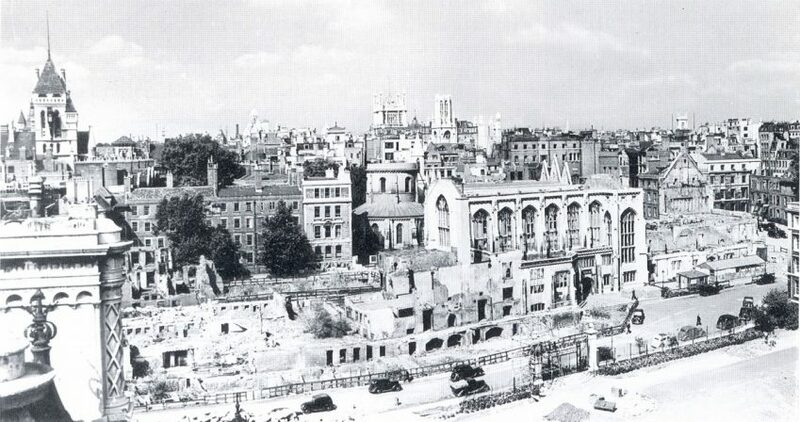 Not only did many members lose their lives in the services during two world wars, but in 1940-41 almost half the Temple was demolished by bombing. 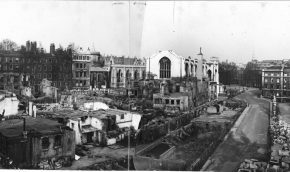 In the Inner Temple alone the air raids destroyed Fig Tree Court (1666 and later), four buildings in King’s Bench Walk (1677 and later), Inner Temple Cloisters (1681), Crown Office Row (1737, 1864), 2 Mitre Court Buildings (1830), Harcourt Buildings (1833), the Hall and Library (1870), and Tanfield Court (1881). 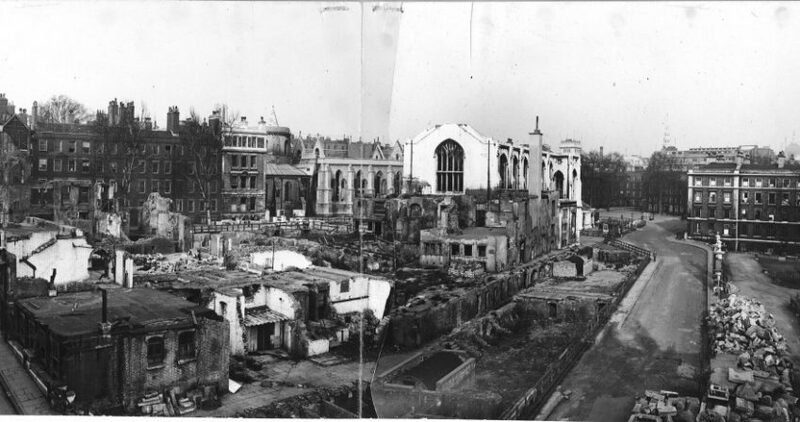 They also destroyed the Master’s House (1667), and much of Temple Church, owned jointly with the Middle Temple. 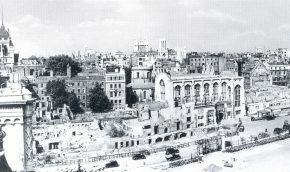 Some of these buildings were restored after the war to their original appearance, but the devastation also provided an opportunity to enlarge some of the courts. 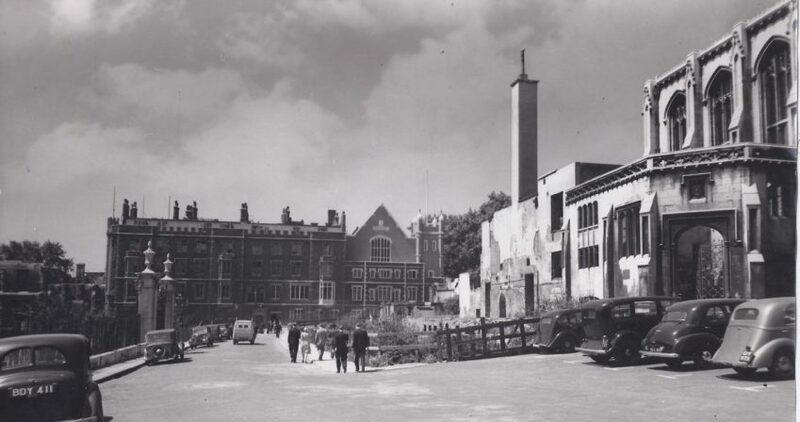 The narrow Fig Tree Court disappeared, being incorporated into Elm Court as part of the Middle Temple; and the decision was taken to achieve a spacious Church Court by resiting Lamb Building, which had stood in its centre. 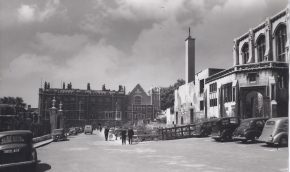 The vista from the Gardens, between Harcourt Buildings and the Library, was completely redesigned in a Georgian style (in red brick faced with stone) by Sir Edward Maufe and Sir Hubert Worthington.